Mark our words: 2011 is the year for Android gaming. Two years ago, the iPhone was effectively the only phone that supported serious gaming--unless you consider Brickbreaker on the BlackBerry to be the ultimate gaming experience. Last spring, Google proved that it was serious about gaming when it hired games industry veteran Mark DeLoura to act as its "Developer Advocate" for games. But gaming developers seemed a bit hesitant to climb on board with the platform. When we surveyed the games available in the Android Market, we found a lot of sad rip-offs of popular iPhone games, plagued by shoddy graphics and buggy game play. There wasn't even a games section in the Market! But the announcement last fall of an Android version of the well-loved iPhone game Angry Birds signaled that other popular, big-name games might be headed to Android as well. And rumors of an Android-based Sony PlayStation phone, which could supposedly play 3D PSP games, further strengthened the perception that Android might finally be ready for gaming. Fast-forward to Mobile World Congress 2011: Perhaps the worst-kept secret of the show, the Sony "PlayStation phone" finally became real. Dubbed the Xperia Play, the gaming phone features a D-pad (for in-game direction control), four game control buttons and a set of circular touchpads in the middle, which function like a joystick for some games. You won't find the PlayStation logo anywhere on the phone, but the Xperia Play will be able to run certain PlayStation games. Sony also announced its PlayStation Suite, a standard "software platform" designed to bring PlayStation games to more devices--specifically, to ones that run at least Android 2.3 and receive a "PlayStation Certified" designation from Sony. The games will be distributed through a marketplace that Sony will set up later this year. The result should be a lot more Android phones in the future that are tricked out for optimal game control. 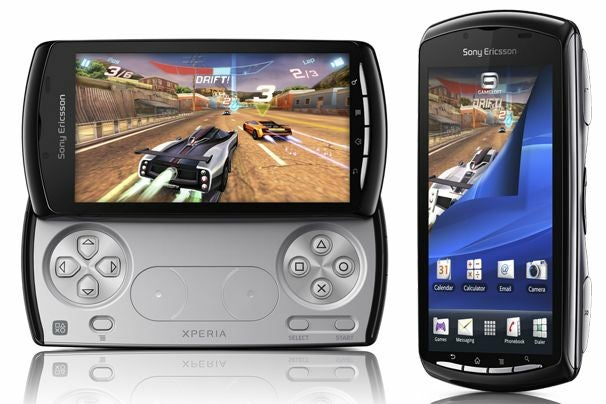 At this year's Gaming Development conference, Sony Ericsson also revealed that the Xperia Play will be the official mobile phone of Major League Gaming (MLG), North America's official pro video games league. MLG attracts about 40 million gamers and represents some of the top professional gamers in the world. The fact that a mobile phone is now regarded as a medium for competitive gaming is a huge step for Android gaming. Will we see dedicated gaming handsets from other manufacturers? It's hard to say. Aside from Sony Ericsson, no phone manufacturer has any track record in the gaming world. And Nintendo has said publicly that it has no interest in making mobile devices, so there's no competition from that quarter (though you can play old Nintendo games on your Android phone via an emulator). Microsoft's mobile XBox Live is one of the best features of Windows Phone 7, so we would love to see Redmond work with an OEM to develop a dedicated gaming phone. 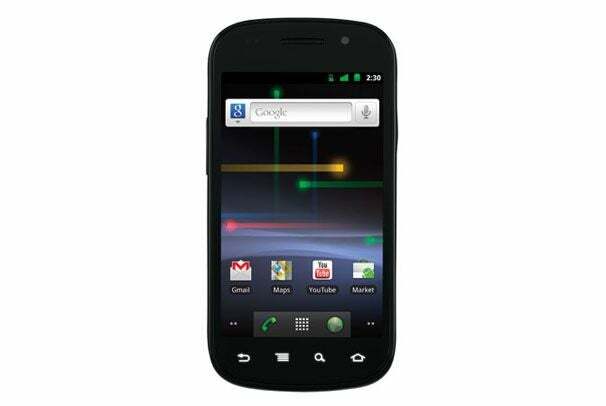 The iPhone 4 was the first phone to ship with a gyroscope, but Android phones are following suit, starting with the Samsung Nexus S, which launched earlier this year. Most top-of-the-line Android smartphones are likely to have them this year. So what do gyroscopes do for gaming? Many mobile games use the accelerometer for motion control, meaning that you tilt and move your phone to control the game. For example, in the iPhone-only I Love Katamari game, you tilt your phone to roll the Katamari ball through the various levels. A gyroscope provides greater precision and accuracy thatn an accelerometer for controlling your phone. It also permits developers to make richer, more immersive motion-controlled games. For example, in first-person shooter games like Eliminate: Gun Range, you can aim your weapon by tilting the phone subtly. Now that more Android phones are shipping with gyroscopes, we hope to see games of similar quality on the platform. The mobile chipset makers are helping phones deliver a better gaming experience by designing low-power chipsets for 3D gameplay. Qualcomm's new generation of Snapdragon chipsets feature the Adreno 220 GPU, which enhances graphics performance with rich 3D effects and detailing. At Qualcomm's booth at Mobile World Congress 2011, we saw a demo of the new game Desert Winds and were impressed by the smooth gameplay and the rich, realistic graphics. At GDC, Qualcomm announced a deal with Gameloft in which the game distributor will rerelease some of its best-selling high-definition game titles, optimized to take advantage of the Snapdragon processor and Adreno GPU. Similarly, dual-core Nvidia Tegra 2 chips for tablets and phones are designed with gaming in mind. One goal of Tegra 2's GeForce GPU is to deliver responsive mobile 3D game playability without compromising battery life. Virtually all of the demos we saw of Tegra 2-powered devices (including the LG Optimus X, the Droid Bionic, and the Motorola Xoom) showed games in action--and they were quite impressive. Nvidia even has its own app store (Tegra Zone) for Tegra-powered phones and tablets. Like Qualcomm's, these games are optimized for one particular chipset.